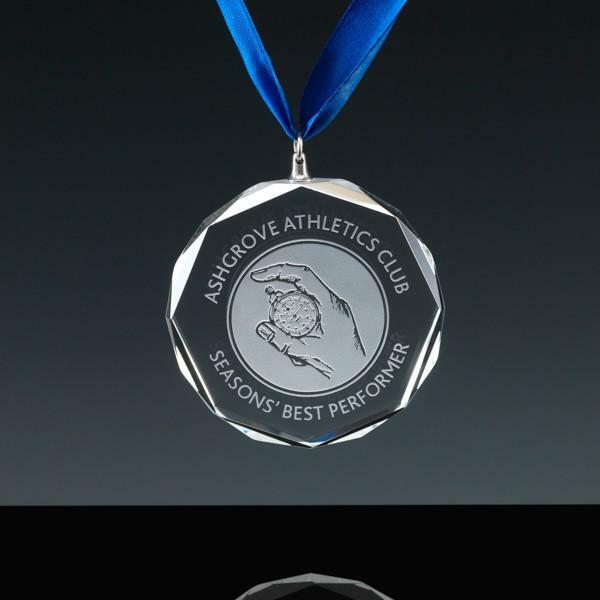 This classy optical crystal glass 3-inch medal makes a wonderful change from metal or plastic medals, and has a good engraving area for your personalised engraving. Comes in a velvet-lined casket. Please note that prices shown do not include set-up, engraving, shipping or VAT.